It’s a brand new year and we hope you are ready to get started with work, school, college, university or whatever else you’re planning for the year. January is the month where most people return to work or school after a nice festive break, and it’s not always easy to face the reality of going back to the grindstone. 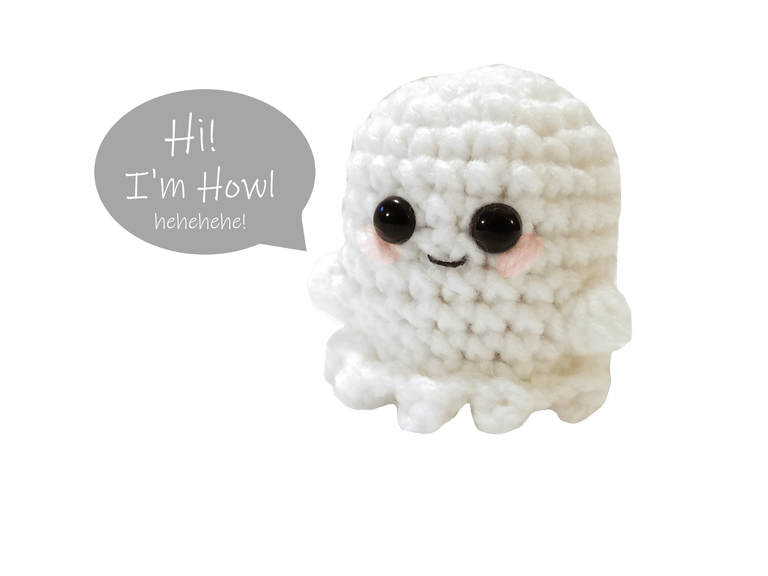 To make things easier, we’ve put together a list of great desk toy amigurumi patterns to cheer up your day with their cuteness. Make one for yourself, a colleague, a teacher or your family members to take the sting out of returning to the daily grind. This free pattern by Pink Mouse Boutique is quick and easy to make in one piece. You can customize the face and other features as you prefer. These little cube dogs by Crafty Bunny Bun are adorable and perfect to sit on your desk to cheer you up. Studies have shown that looking at puppies is guaranteed to improve your productivity, so go ahead and make these little ones for your desk. If you loved Casper, the friendly ghost, in the 90s, you’ll love this little guy from Cafe Del Craft. He is quick and easy to make, and perfect for Halloween. It’s not just Ross from Friends who loves dinosaurs! 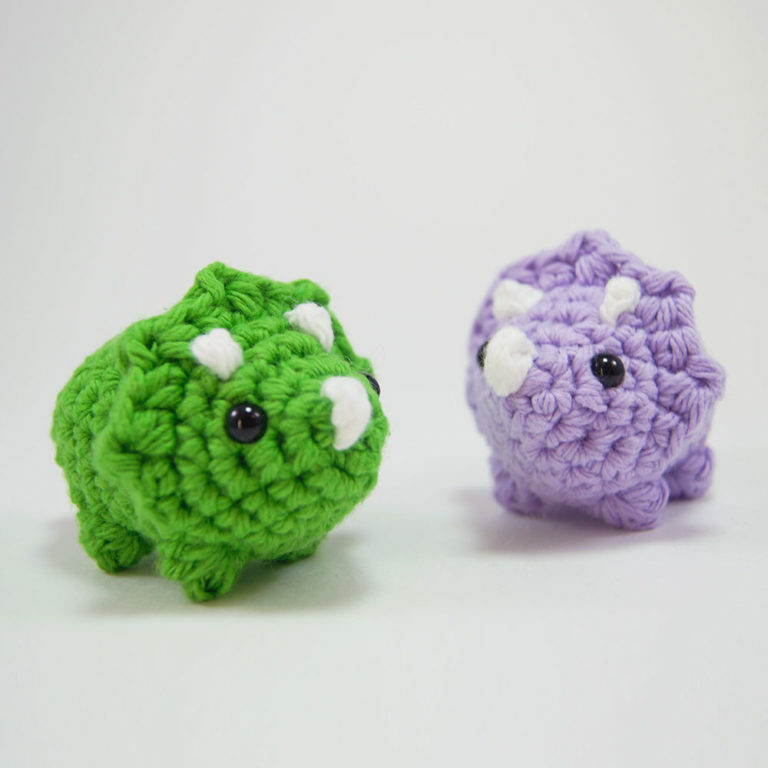 Make these cute little triceratops toys from Club Crochet for your desk in any colour you want. You can use scrap yarn or make many of them from one skein of yarn. 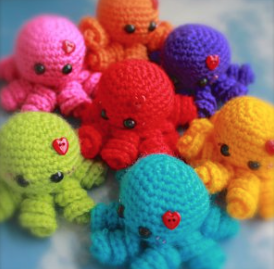 These little guys from ESSHAYCH are perfect for beginners because they have a very basic shape for the heads and a repeat of the same pattern for the arms. It’s a known fact that having something green on your desk is good for your mental and physical health. 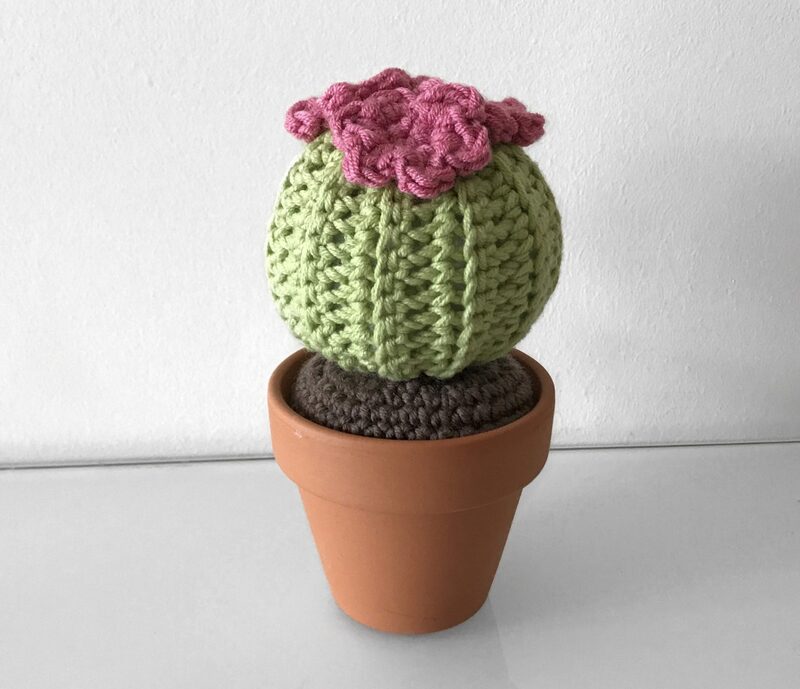 These little round barrel cactus desk toys from Zoe Creates can be planted in a little terracotta pot that you can buy from your local nursery or garden supply store. Everyone wants a hedgehog because they are so cute, but they are also expensive to keep and in some areas, you aren’t allowed to have them at all. 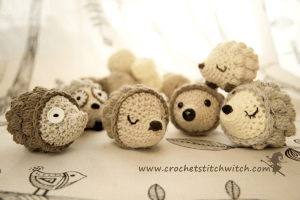 But you don’t have to miss out, simply make one of these little ones from Crochet Stitch Witch for your desk. 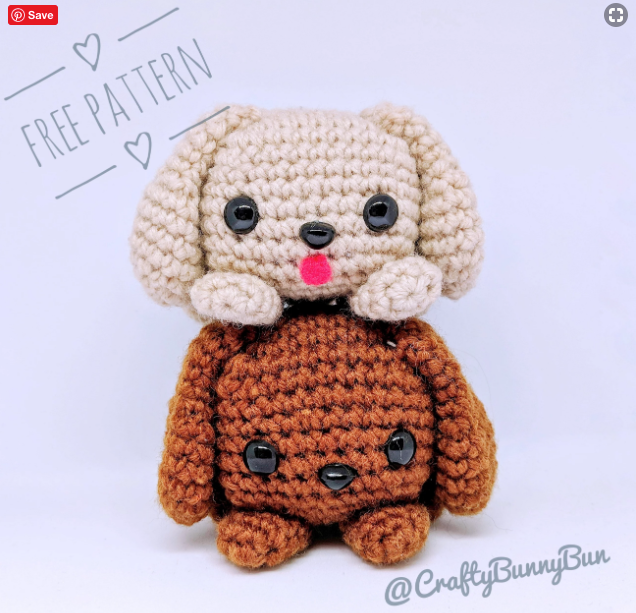 This free pattern includes a video tutorial to make it easier for you! 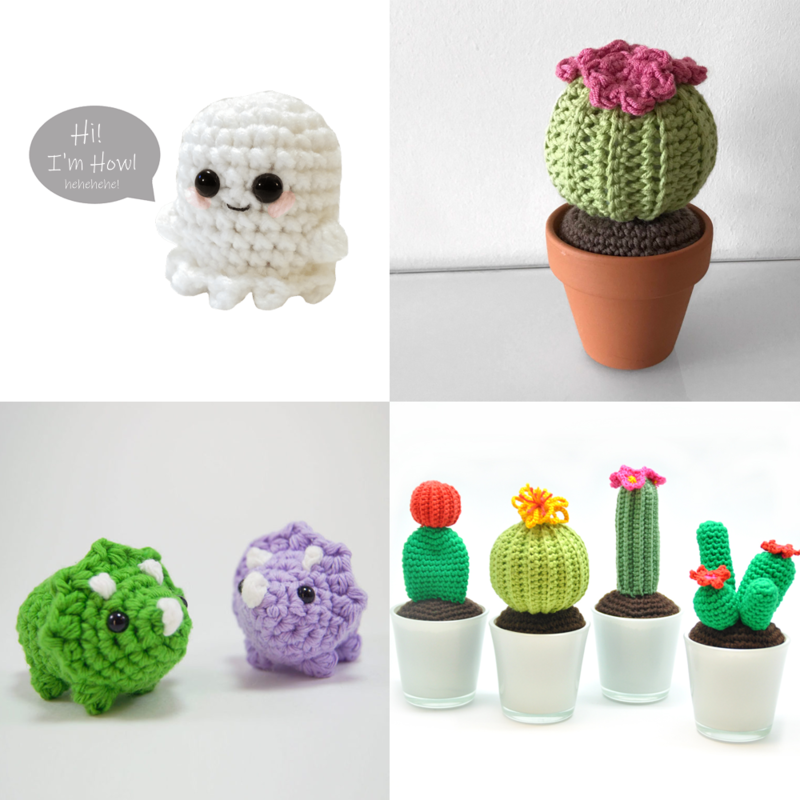 This collection of free amigurumi patterns from Yarn Plaza includes four different cactus designs. 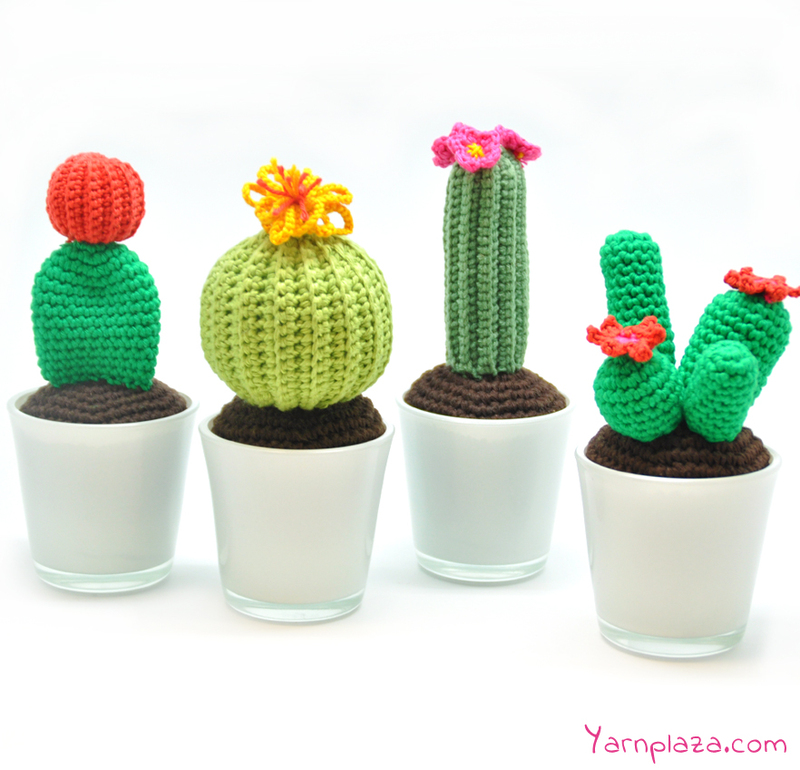 Make one or all of them to put on your desk and create your own little happy garden. 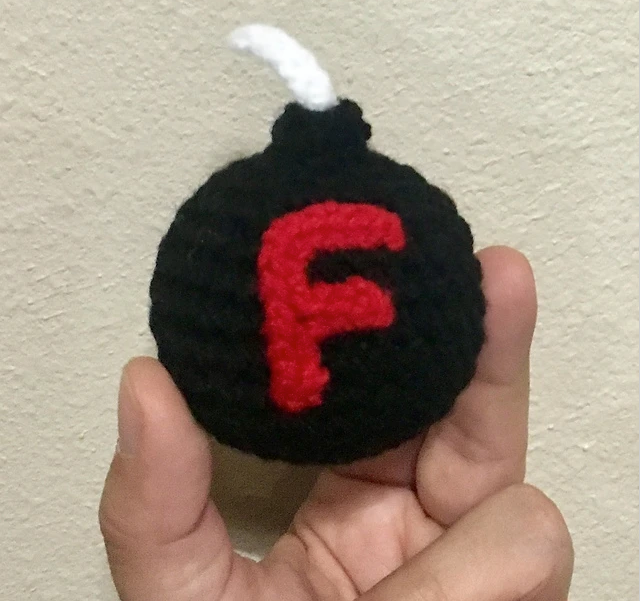 This f-bomb from Lizz Jelsma has become a cult classic! Instead of swearing at your colleagues, you can throw them with this to relieve the tension. You can even make it a stress ball by stuffing it with a balloon filled with flour. Happy crocheting! If you’ve made any of these cute desk toys or any other ones, leave a comment below to tell us all about it. 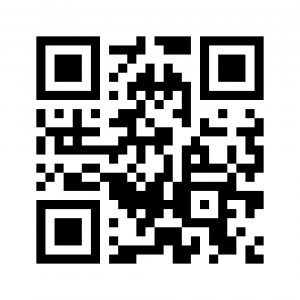 We’d love to hear your input and see your creations.